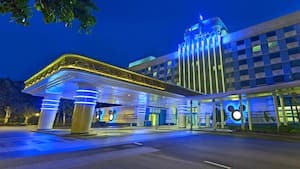 “Magic 360”, our Disney Hotel Virtual Tour, is now live! For the first-time ever, you can explore up-close the magical immersive experience available at our three hotels. Escape to a Victorian palace boasting stately accommodations with modern amenities, for a lavish vacation fit for royalty. Be the Hollywood star at this richly appointed hotel and enjoy a star-studded vacation surrounded in the glitz and grandeur of classic Hollywood. 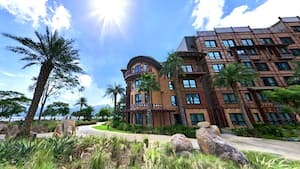 Disney Explorers Lodge offers exotic accommodations according to four unique tropical climates surrounded by the wonders of nature. Find the Disney hotel that's just right for you.